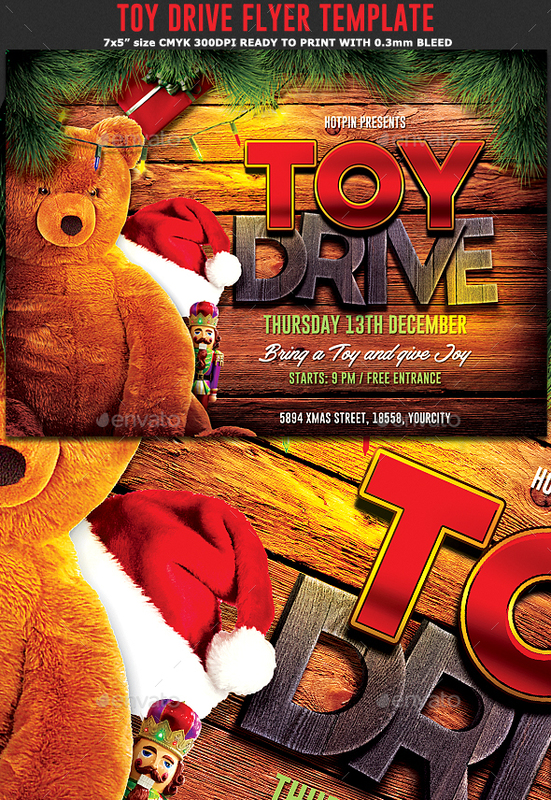 Christmas Toy Drive Flyer Template is very modern psd flyer that will give the perfect promotion for your Christmas charity event, or Christmas party! All elements are in separate layers and all text is fully editable! YOU NEED ADOBE PHOTOSHOP CS3 AND ABOVE VERSION TO EDIT THE FILE!